Your little girl will look too too cute in this ladybug tutu outfit! 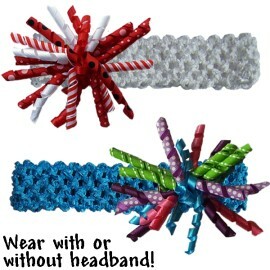 Perfect for birthdays, photo shoots, or any time fun! 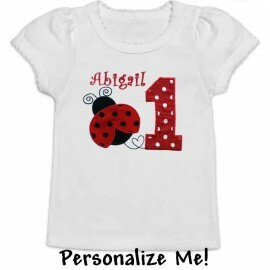 This two piece outfit includes the red and black polka dot tutu and your choice of T-shirt or onesie. 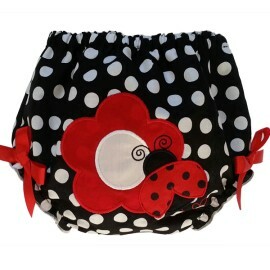 Substitution notice: The red and black polka dot tutu is out of stock. 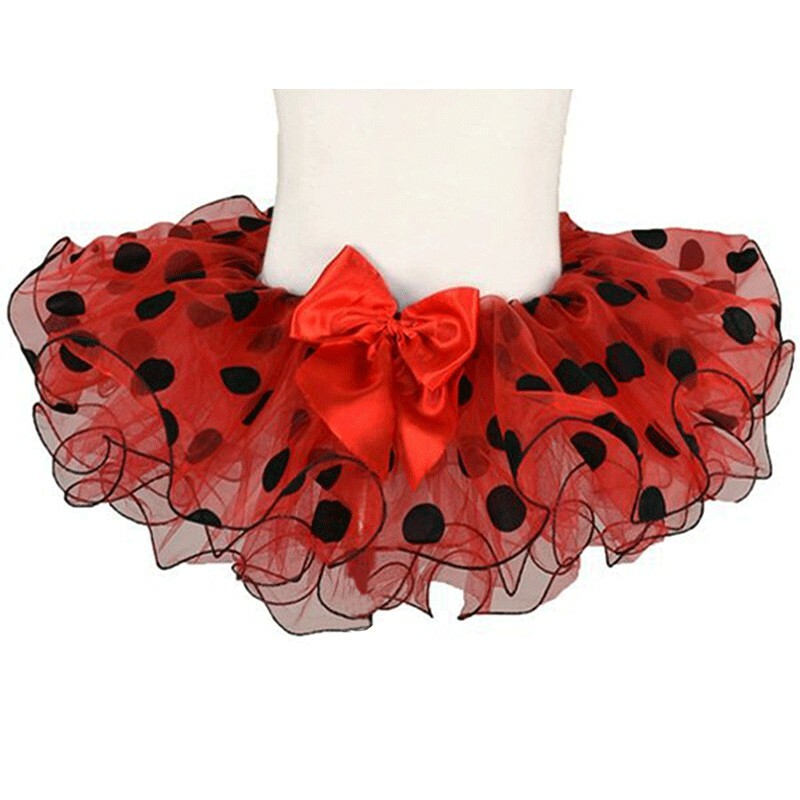 We are substituting the same style tutu that's red with white polka dots. 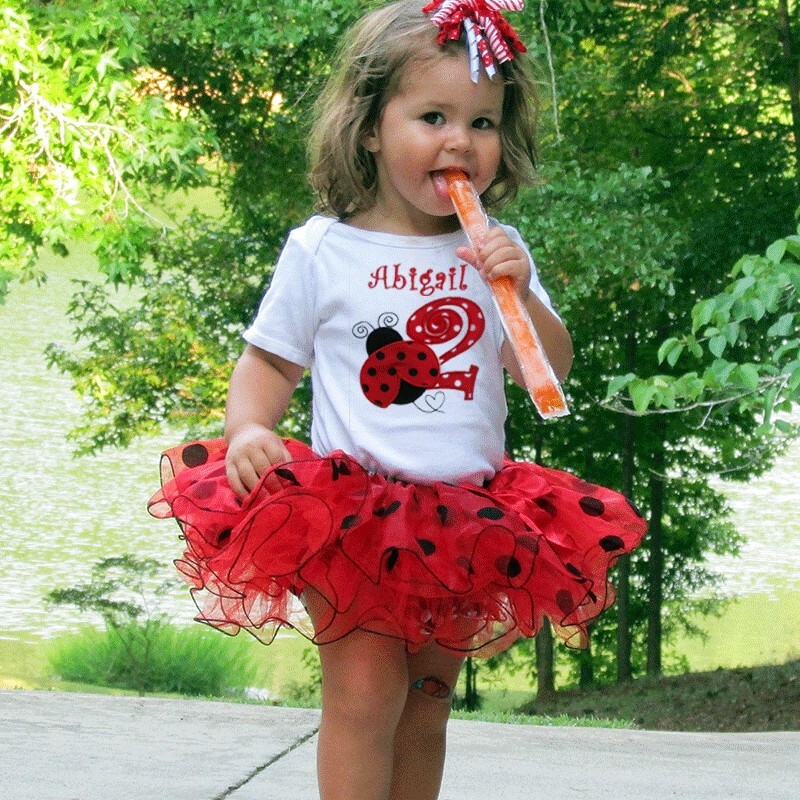 She'll want to dance and twirl while wearing this adorable red and black polka dot tutu outfit! Perfect for birthday parties, photo shoots, or just because she's a girl! Personalize it! : Enter her name in the product customization area below. If you don't want a name added, enter "no name" in this area. Shirt Features: Choose from onesie or T-shirt. Onesie features lap style neck for easy on and off. 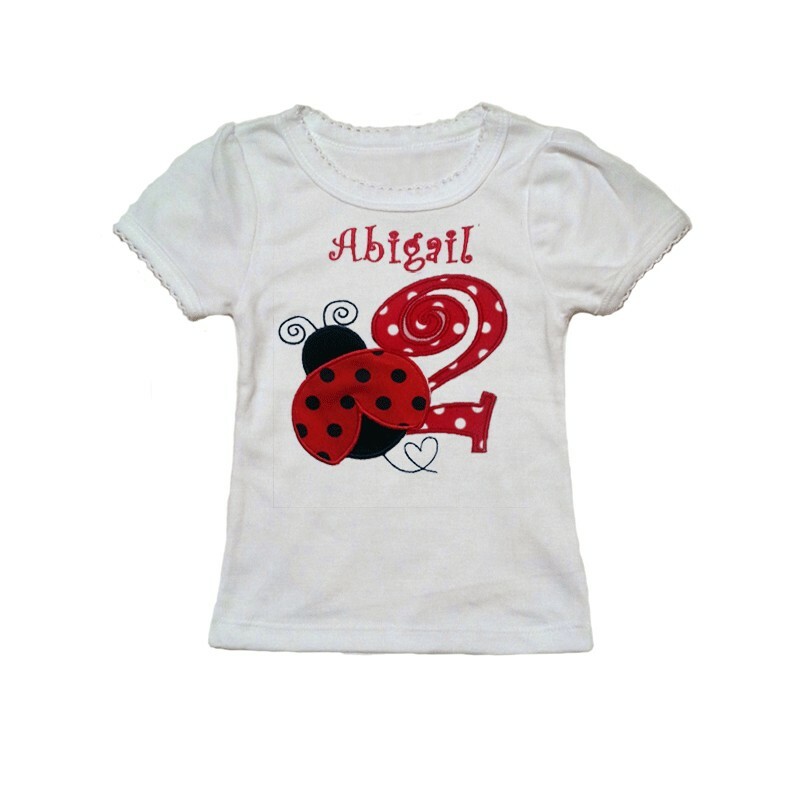 T-shirt features cap sleeves with delicate scallop trim. 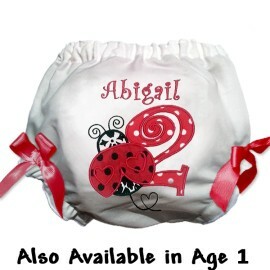 Appliqued ladybug and number. Personalized with her name makes it extra special. 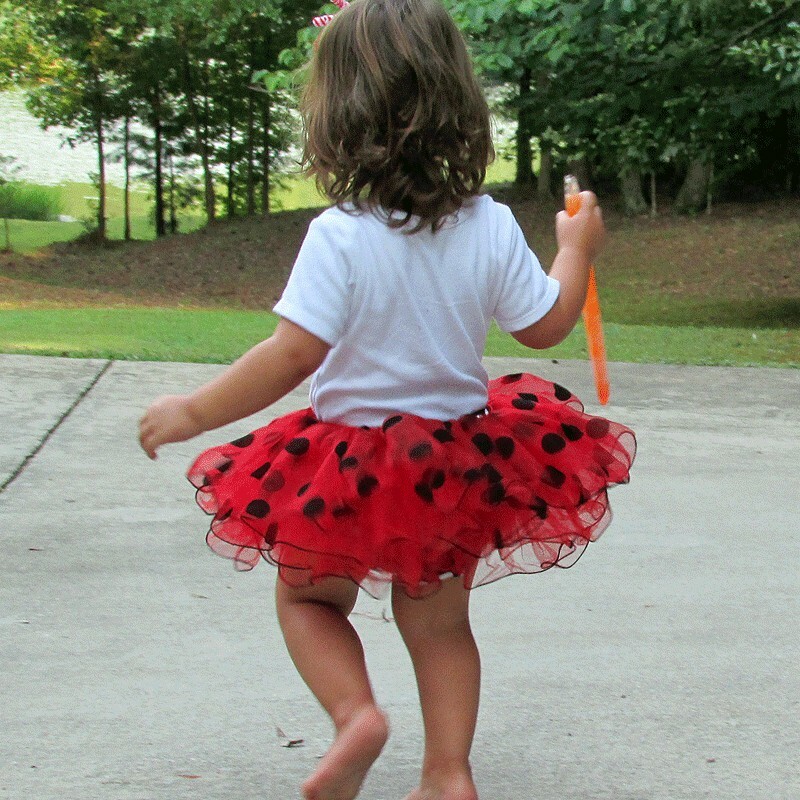 Tutu Features: Wide elastic waist for comfort. Large bow for cuteness! 3 layers of fluffy tulle with frilly edges that hold their shape. 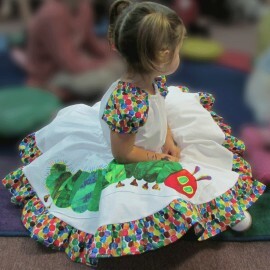 Fabric & Care: 100% Polyester tutu. Cotton/ polyeter blend top. Machine washable.